‘Yes, yes, let’s talk about the weather.’ So sang the ladies’ chorus in Pirates of Penzance, and the British have a fascination with the weather. 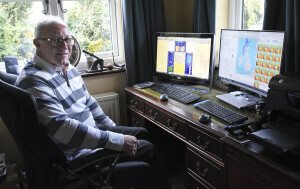 Here, long-term local weather recorder, John Miskin, looks into the background of this summer’s heatwave. Rather like a fine malt whisky, his article needs taking in slowly! A couple of months ago I was asked whether the summers of 1976 and 2018 compared in terms of heat and dryness and my answer was ambiguous, as the comparison could only be accurate when comparing exact periods of time. All the statistics from 1976 were presented to show the maximum effect for a good newspaper story, so I will try and draw a more objective comparison. 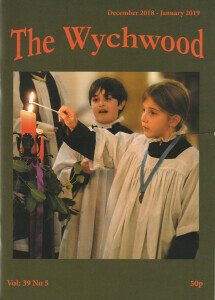 This report is for the Wychwoods rather than the entire United Kingdom, and I have tried to make the report easy to read! 1. 1976 was hotter than 2018 with a mean temperature of 17.91°C compared with 16.53°C in 2018. On the hottest day in 1976 (5 July) the maximum daily temperature reached 33.94°C, whilst on 2018’s hottest day (26 July) it peaked at 32.61°C. The warmest nights were again in 1976 with 12 being recorded above 18.74°C; in 2018 only three were above 16°C with the highest on 2 September at 16.91°C. 1976 recorded 15 consecutive days with a maximum temperature over 32°C somewhere in the UK, and the Wychwoods recorded 11 days. 2018 recorded only nine consecutive days in the UK, whilst and in the Wychwoods only one such day was recorded. 2. 1976 was drier than 2018 with only 13.2mm of rain between 1 June and 1 September whilst in 2018 we had 61.6mm of rain in the same period. This year we had 42.6mm rain on the 31st May alone, whilst in 1976 it had been incredibly dry from May 1975 onwards with only 57% of the average rainfall preceding the famous drought. Most areas in southern and eastern England actually recorded far less rainfall this year than the Wychwoods, as while we had some rainy spells, other parts had virtually none (under 15mm). In my opinion, it was the lack of rainfall in 1976 that marks the year out as being the yardstick when comparing hot summers. So why was 2018 such an exceptional summer after the exceptional cold snap in late winter? In February 2018 a record breaking Sudden Stratospheric Warming (SSW) event took place. Without being over technical, this causes all the normal weather that we get from the West to be blocked and pushed back. No one knows whether an SSW occurred in 1975/6 but the weather patterns are very similar. It affects sea temperatures as well, and it is generally agreed that this combination can be linked to warmer drier summers and colder winters in the UK. The ‘Beast from The East’ spell then followed the SSW in March and ever since the weather hasn’t really returned to normal in the UK with the summer nearly equaling the hottest on record and the propensity for blocking high pressure has continued. In 1976, the blocking high pressure was centred more to the east, allowing very warm air to circulate up from North Africa and across Europe to our shores. In 2018, it was positioned further west and although we got the warm circulation, we didn’t get the intense heat directly from Africa. However, parts of North Africa were hotter than in 1976 and had the anticyclone been further east, we would have experienced a real record-breaking summer with less moisture and less opportunity for the thundery lows to attack us towards the end of August. If this blocking system remains in place, and there are some signs of it doing so, then we can expect a colder and drier winter. However, the weather has a habit of redressing the balance of nature, and if that is the case we will return to a ‘normal’ mild and wet winter. 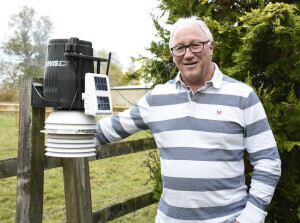 It is my opinion that the effects of so-called ‘Global Warming’ will long-term give the UK, and especially the South East, a more Continental weather pattern than what we normally experience, with colder winters and drier summers. This could cause the Gulf Stream to change direction, and in conjunction with the Jet Stream being affected by a continuing SSW, we could have some very interesting weather ahead of us. Editor’s footnote: Next time you call in to buy your morning paper and the weather is mentioned, try dropping the word ‘evapotranspiration’ into the conversation – just a thought!